Alright, decided I wanted to release what I had done before I worked in a new villain, see if I can get some feedback from you all. As stated before there’s a couple of new options in with the Gasser and a new ending (being sold into white slavery). It’s pretty short for now but I’ll probably end up fleshing it out for people. And, a big thank you to all my backers who helped pay for most of the files I used for the new ending!! Also, a quick note: at this point I’m making these early versions available publicly. But once the game gets to a certain size/I get enough backers who are giving feedback I’ll probably post it only for those who are backing me. – Added in all the typo/spelling corrections people caught and told me about. Also made some minor tweaks to dialog/a picture or two for “realism” (such as making it so the IntelliTek scientist doesn’t pick her up by the neck). – Added in a new villain, Brain Master! He has mind control powers and we get to see them in action, but the first run through of his encounters ends pretty fast with the heroine Lab Rat saving Little Red. – Which means I’ve added in the first “saved by” encounter! When saved by Lab Rat you can go back to Freedom Tower with here where there are actually already TWO encounters fleshed out there (The run through The Gasser led to Lab Rat so I just continued that path and did a second encounter with her). If I did the coding right you won’t be able to run into her twice in one play through, but the game is meant to be highly replay-able the closer it gets to being finished. – Added a new event to The Gasser. Starting from the first string of choices you can now choose to throw a breast growth grenade. I tried to make this encounter feel different, both visually and dialog wise, from the breast growth encounter with The Gasser that’s already in the game. Hopefully you’ll all find it enjoyable. 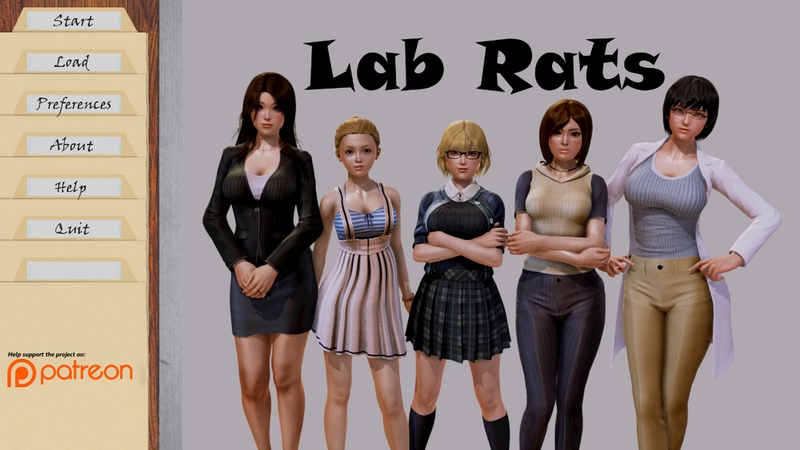 – The Gasser also now has lead ins for Lab Rat to save Little Red, as mentioned above. And again, if my coding is right these options won’t show up if you’ve already encountered Lab Rat. – There is a new string of events for the Sewer Monster, who has also been relabeled as an Underman to bring him more in line with pre-established stories and a new playable character in my Predator and Prey card game (the newest update isn’t with the villain isn’t out yet, still ironing out rules via play testing). – Added in a new section to the IntelliTek ending area. You can now test out a bimbofication drug on her! Sorry! Keep2Share.cc FORBIDDEN EXTREME CONTENT!